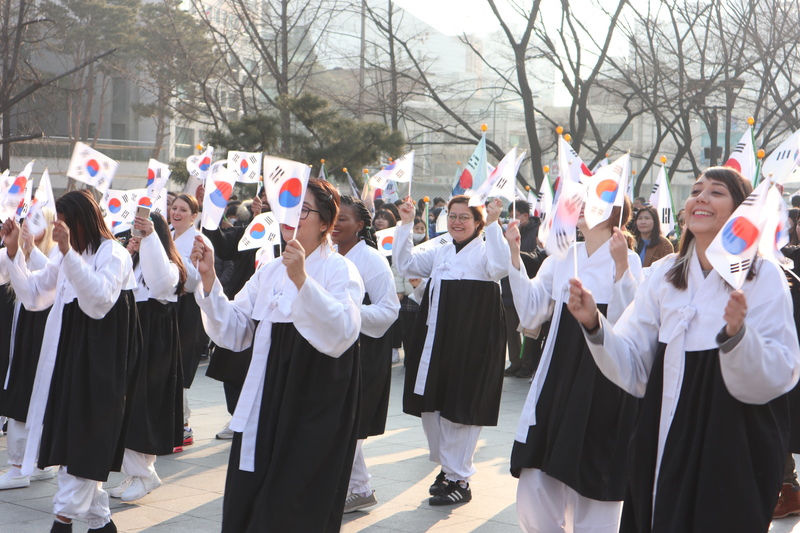 Representative Participants in the 100th Anniversary Commemoration of Korean Independence Movement Day. 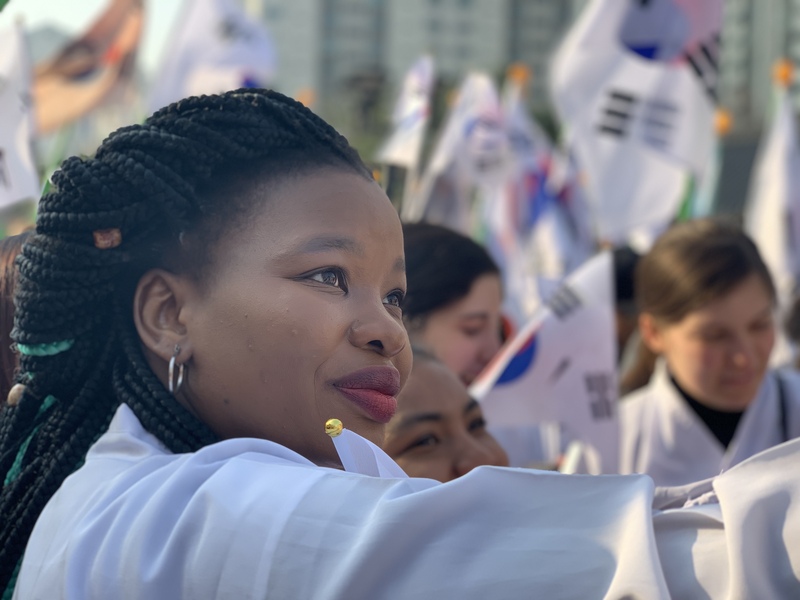 performance to show their support for the Korean Independence. The flashmob was performed over five times throughout the day. 특별 플래시몹을 연습하고 삼일절을 기념하기 위하여 플래시몹 공연을 하루동안 5회 이상 펼쳤습니다. 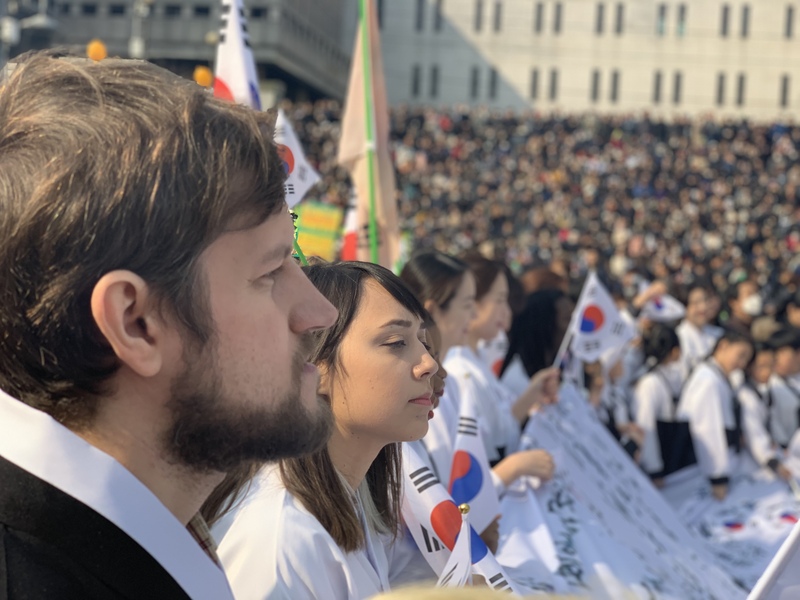 together with Korean citizens and listen to the speech of the President of South Korea, Moon Jae-in. 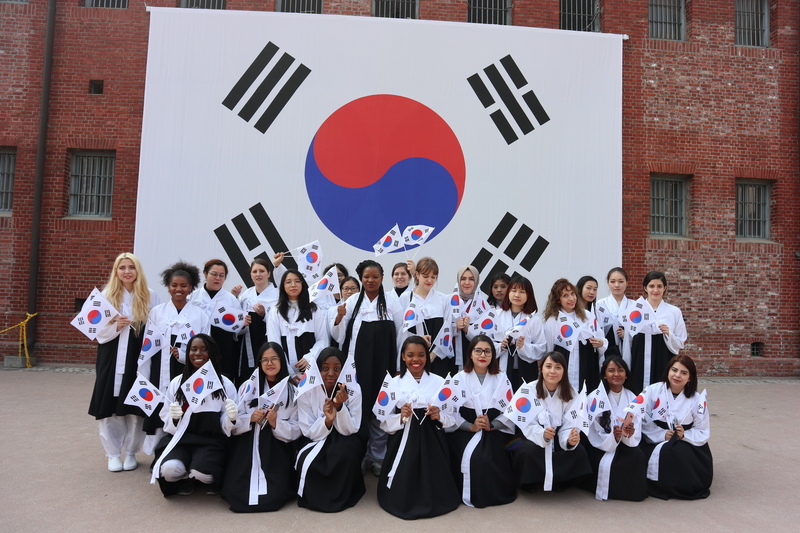 and learn more about Korean history. 역사적 기념일을 한국인과 함께 기리며 독립문-광화문 광장까지 행진 또한 참가하였습니다. 한번 더 배울 수 있는 뜻깊은 시간을 가졌습니다.